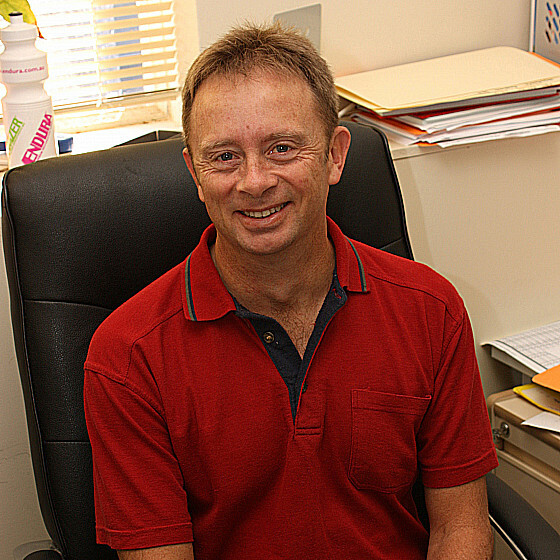 Peter J. Riggs is a leading Australian researcher on the foundations of physics, the nature of time, and methodology of science. He also is an enthusiastic science communicator whose public lectures on physics and its implications have proved extremely popular. Quantum Causality: Conceptual Issues in the Causal Theory of Quantum Mechanics. Dordrecht: Springer Academic, 2009. Natural Kinds, Laws of Nature and Scientific Methodology (edited collection). Dordrecht: Kluwer Academic, 1996. Whys and Ways of Science: Introducing Philosophical and Sociological Theories of Science. Melbourne: Melbourne University Press, 1992. ‘Comment on 'Relativity, potential energy, and mass' ’, European Journal of Physics 40, 2 (2019): 028001-1─028001-5. ‘Why 'NOW'?’, Journal for General Philosophy of Science 50, 1 (2019): 171–180. ‘The Physical State of the Universe in the Planck Era’, Zeitschrift für Naturforschung A: Journal of Physical Sciences 73, 6 (2018): 533–537. ‘The Temporal Epistemic Anomaly’, Manuscrito – Rev. Int. Fil. Campinas 41, 3 (2018): 1–28. ‘What is the Uncertainty Principle of Non-Relativistic Quantum Mechanics?’, European Journal of Physics 39, 3 (2018): 035409-1–035409-10. 'Interstellar Journeys in Human Lifetimes: Numerical Computations', Physics Education 52, 3 (2017): 033001-1─ 033001-6. ‘Is There a Spatial Analogue of the Passage of Time?’, Philosophy and Cosmology 18 (2017): 12–21. 'A Comparison of Kinetic Energy and Momentum in Special Relativity and Classical Mechanics', The Physics Teacher 54, 2 (2016): 80─82. ** Listed in: The Best of The Physics Teacher 2015-2016 ** <https://www.aapt.org/Resources/Best-of-TPT-2015-2016.cfm>. 'Contemporary Concepts of Time in Western Science and Philosophy' in McGrath, A. and Jebb, M.-A. (eds), Long History, Deep Time (ANU Press, Canberra, 2015). Available here. 'Momentum Probabilities for a Single Quantum Particle in Three-Dimensional Regular ‘Infinite’ Wells: One Way of Promoting Understanding of Probability Densities', European Journal of Physics Education 4, 4 (2013): 1─13. Available at: <http://www.eu-journal.org/index.php/EJPE/article/view/98>. ‘What Do We Feel When We 'Feel' Time 'Passing'?’, Journal of Consciousness Exploration & Research 3, 9 (2012): 1064─1073. 'Colliding Ice Comets and the Reality of Energy', Physics Essays 23, 4 (2010): 621─624. The ANU Public Lectures series offers a forum in which ideas, theories and recent developments in physics and their philosophical implications are communicated to a general audience. These lectures on Physics and Natural Philosophy do not assume any prior knowledge and are specifically designed and presented for the public. Selected lectures are also occassionally presented to audiences at ANU student residences. 6.00 pm, 19 September 2019. Black Holes and Wormholes: Concepts and Misconceptions. Venue: Finkel Lecture Theatre, John Curtin School of Medical Research, ANU. In this lecture, the concepts behind black holes and wormholes will be explained and some of the misconceptions surrounding them dissolved. Attendance is free but bookings are essential - TBA. February 2019. Is Existence Just an Illusion? Does life seem illusionary at times? Issues concerning whether our physical existence is what it mostly seems to be or is an illusion were addressed in this lecture. September 2018. Interstellar Journeys Within a Human Lifetime: Possibilities and Practicalities. This lecture generally explained what is involved in interstellar travel and by what means it might be done. February 2018. Why Does the Cosmos Exist? Why is there anything at all? This is the riddle of existence. In this lecture, modern physics was considered in order to see if it might enlighten us about why anything exists or whether the answer to the riddle of existence can only be found from metaphysics or religion. September 2017. How Old is the Sphinx? What the Evidence Reveals. Recent physical evidence points to the Great Sphinx at the Giza Plateau being much older than what academic egyptologists would have us believe. This lecture considered the existing physical evidence and the theories that have been proposed to explain this evidence. April 2017. Time Travel: What's the Current Status? The laws of physics do not rule out time travel. This lecture reviewed the proposed methods of time travel to see whether they remain viable, and what some consequences of time travel might be. February 2017. Does Science Support the Claims of Religion? Public statements are regularly being made that science shows religious claims are true. This lecture considered the issue of whether recent contentions concerning scientific support for religious claims are well-founded or not. How we learnt to accept uncertainty and love weirdness. What is the 'quantum'? Is nature fundamentally uncertain? This lecture considered what quantum science tells us about the world and some of its more weird implications. An expert panel drawn from three different areas within the ANU College of Physical and Mathematical Sciences tried to navigate the issues of the exponential growth of physical science and where it might go over the next hundred years. October 2015. Why Are We Constrained to Live in the Present Moment? Although the Present seems to forever 'move forward', we always remain trapped in it. This talk covered relevant aspects of our experience of the Present and explored whether science can explain why we are prisoners of time. May 2015. What is Reality: Physics or Metaphysics? The nature of reality has confounded thinkers for millennia. Concepts of physical reality were considered in this lecture in order to surmise if twenty-first century science will be able to enlighten us about the nature of reality. May 2014. The Big Bang: Was It the Origin of Everything? The cosmological Big Bang Theory is our current best physical explanation of the evolution of the universe. This lecture examined the nature of the Big Bang and what alternative ideas are on offer. The idea of time travel is familiar from science fiction. However, there is a serious side to the issue of time travel for the laws of physics do not rule it out. Implications for both physical science and our view of reality were explored in this talk. On a day-to-day basis, time is a concept familiar to us for it affects all aspects of everybody’s life. Despite this, time itself remains a mystery. This lecture covered characteristics of time as revealed by science and modern viewpoints on the nature of time.